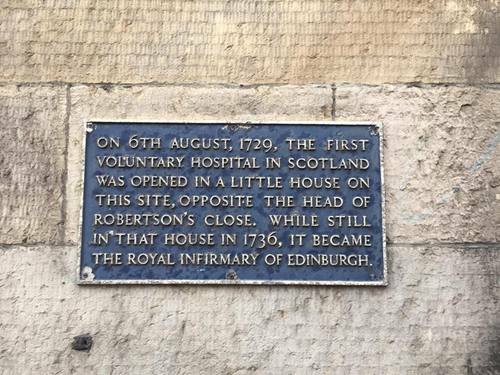 This memorial tablet marks the site where the first voluntary hospital in Scotland was established in 1729. 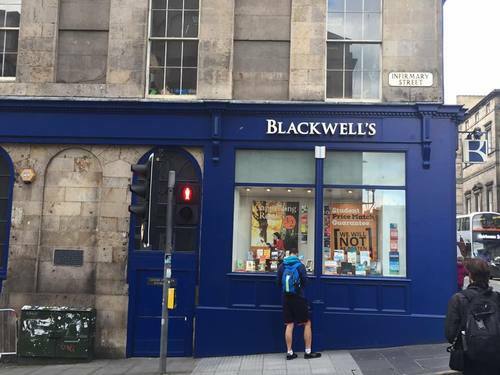 It can be found on a stone wall, near the corner of Infirmary Street and South Bridge, in Edinburgh. As stated on the tablet, while still in that house in 1736, it became The Royal Infirmary of Edinburgh.